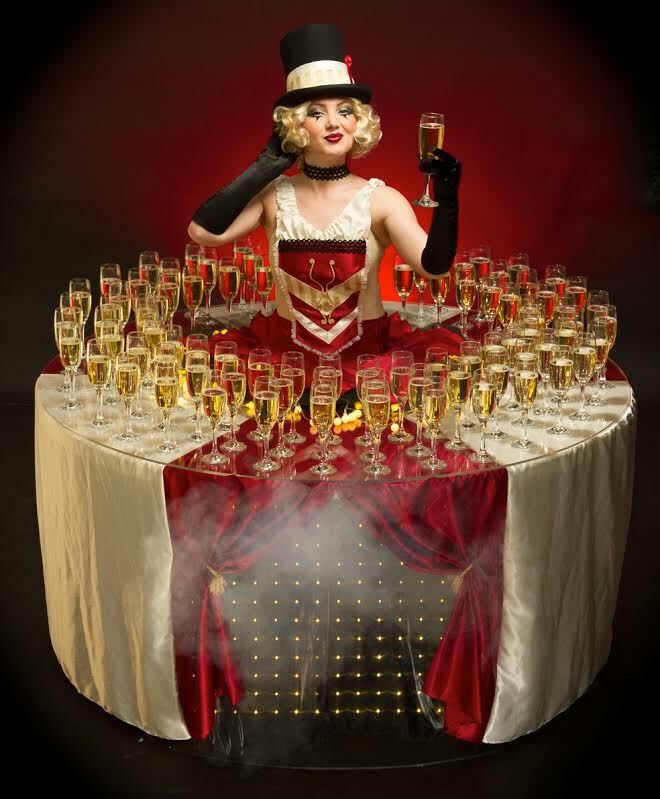 Our human tables come in a variety of styles to suit your theme. 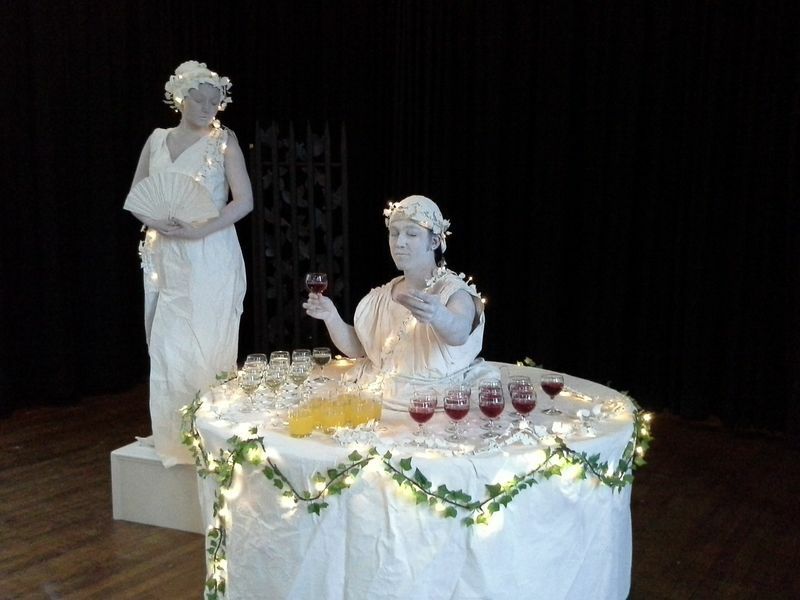 They are popular for drinks receptions, as they can serve drinks or canapes. 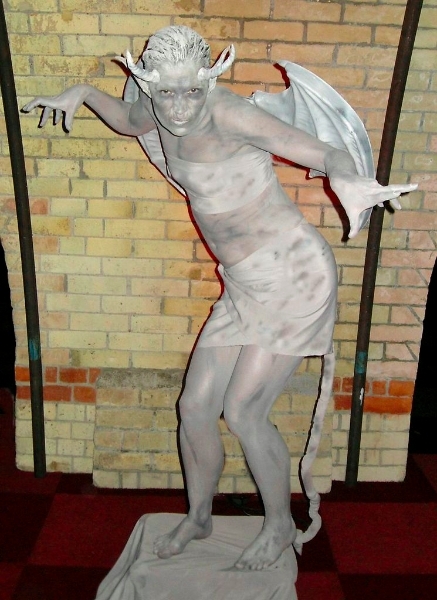 We also have walkabout LED human tables. 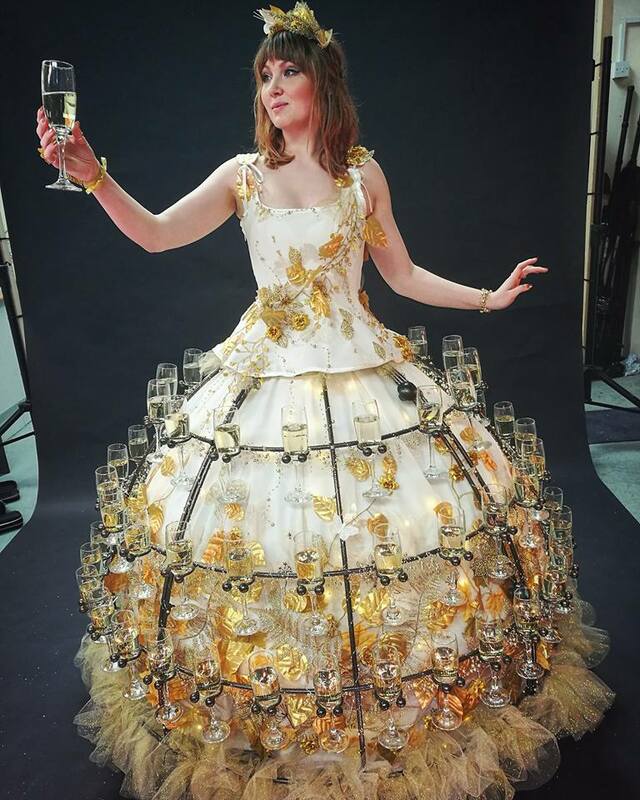 If you are looking for a style you don’t see here, just ask! 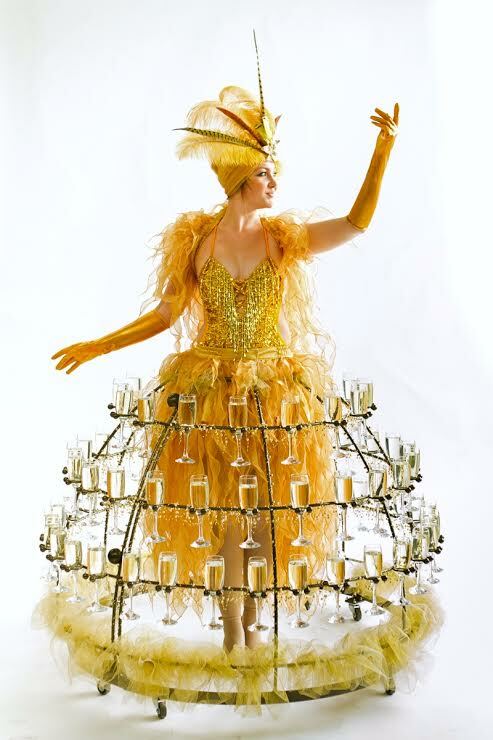 An unusual variation on the human table is our champagne dress. 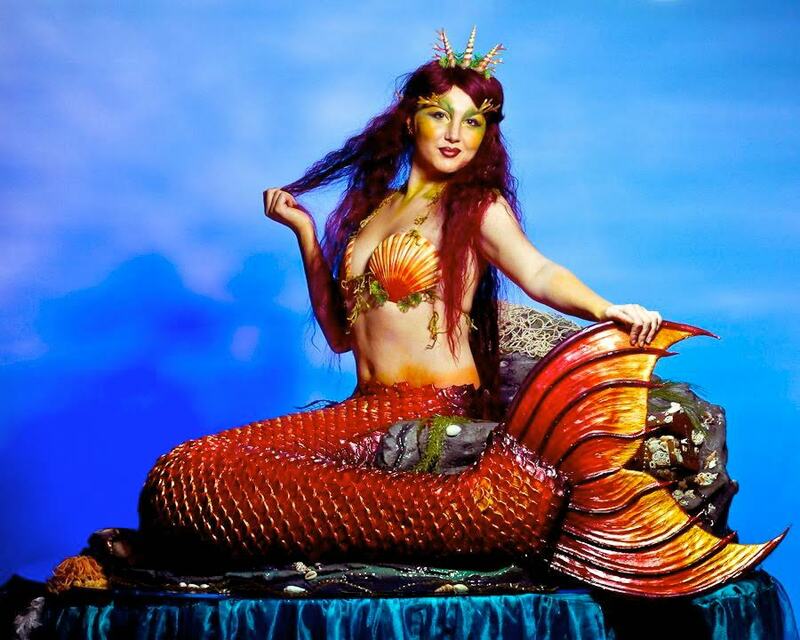 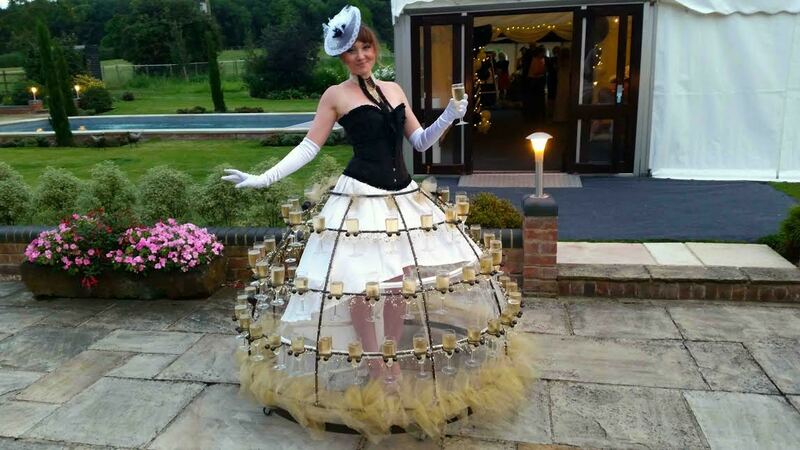 Hire this beautiful and whimsical act to serve and entertain your guests…the dress holds 70 glasses of champagne! 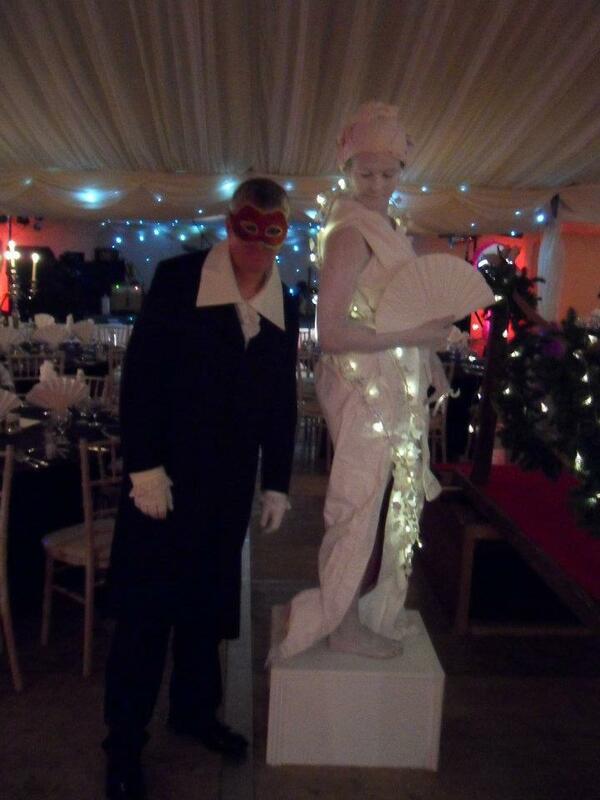 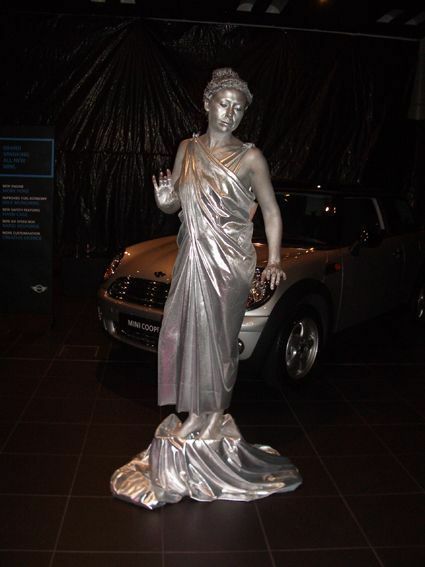 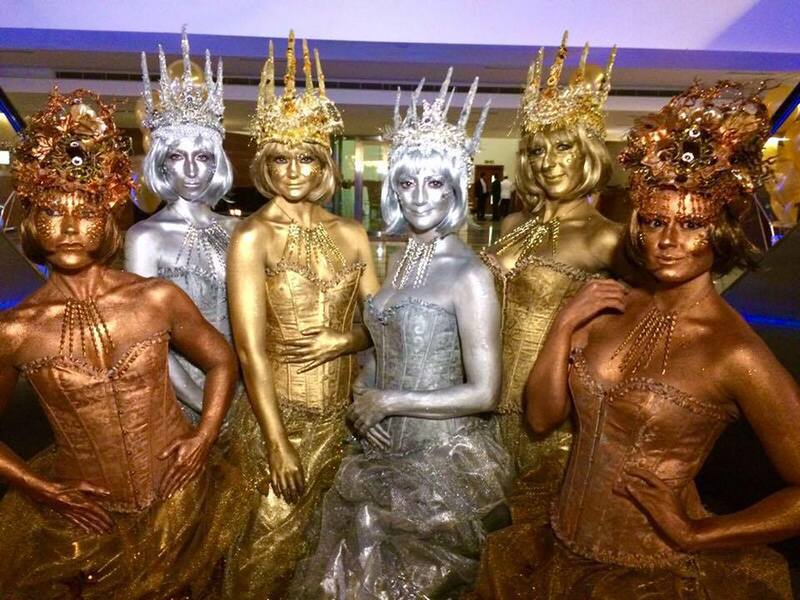 Our stunning human statues put a unique twist in party decoration, standing motionless then occasionally coming to life to surprise and interact with guests. 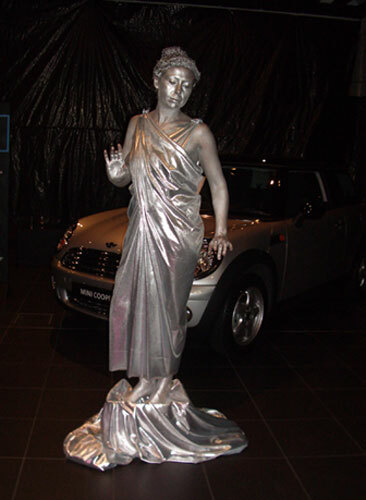 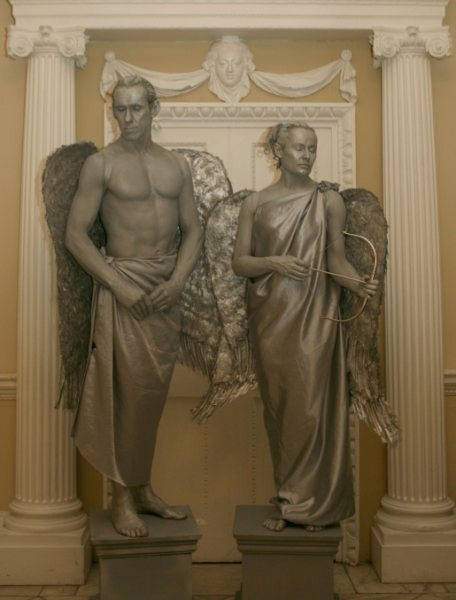 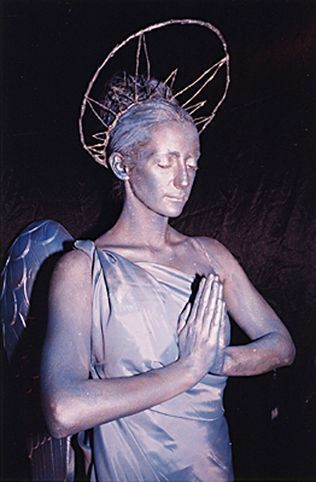 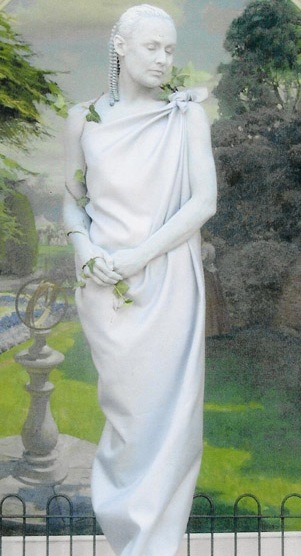 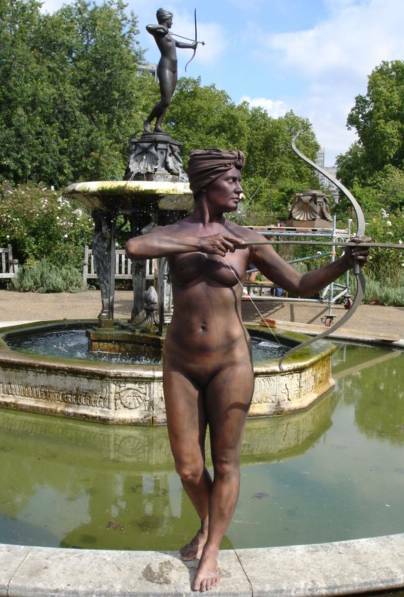 Human statues can perform as individuals or as a pair. 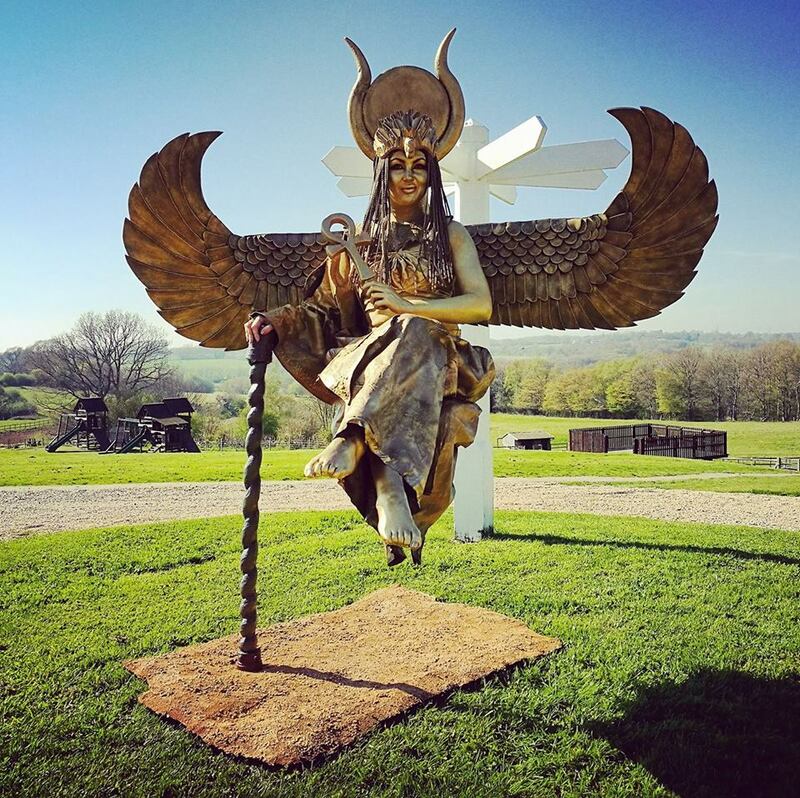 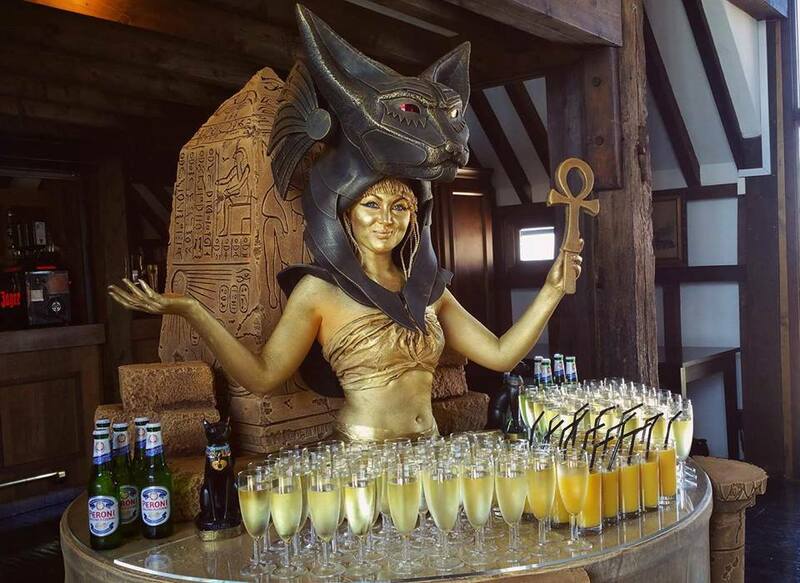 The statues have a variety of costumes, including Ancient Egyptian Gods, Greek Gods, Romans, Nymphs, Bollywood, Snow Queen/Narnia and Vintage 1920s Art Deco. 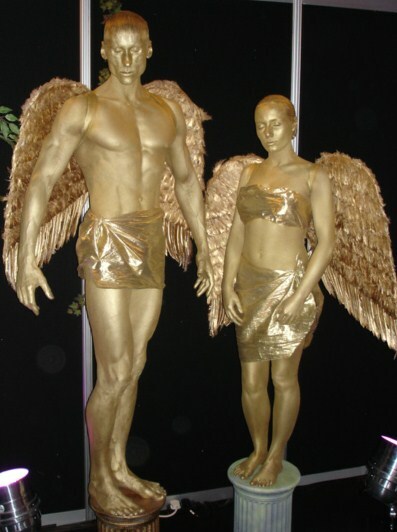 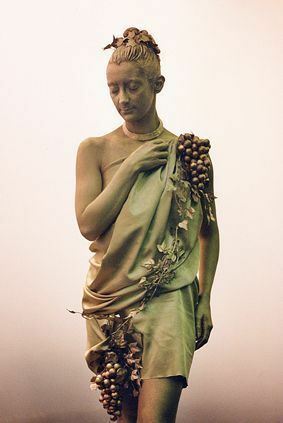 We also offer custom-made statues if you can’t find the exact style you like.